After a Canadian icebreaker was diverted from a research mission in the Arctic to assist with never-before-seen levels of ice off the coast of Newfoundland, a climate-change researcher is sounding the alarm about the potential for increasingly treacherous conditions in the North Atlantic. A team of scientists from five Canadian universities had planned to head out on the icebreaker CCGS Amundsen to study the effects of climate change. But because of the hazardous ice conditions off the coast of Newfoundland, the vessel was diverted to assist with search-and-rescue operations in the area, helping ferries and fishing boats navigate the Strait of Belle Isle. A Canadian Coast Guard assistant commissioner told CBC News at the time the ice conditions were more severe than anything the region had seen before. 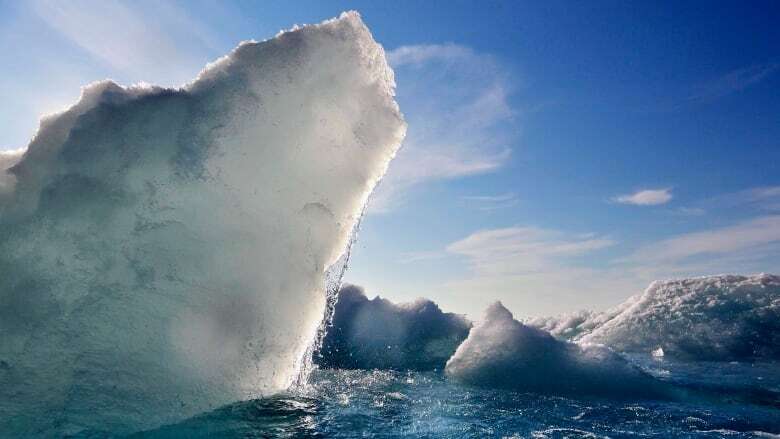 "This is ice that, if you don't have an icebreaker like the one we were on, you wouldn't be able to move through this ice," said David Barber, a University of Manitoba climate change scientist who led the Arctic expedition, called BaySys. "It became a very dramatic period of doing two and a half weeks of doing [rescues], multiple calls per day, because the whole system is used to dealing with no ice at that location at that time of year, because that's historically what it's always been like," Barber said. The vessel escorted oil tankers, freed ferries stuck in the ice and rescued fishers stranded on ice floes after the thick ice punctured and sometimes sank their boats, Barber said. "It became very clear that we needed to understand what this ice was, where it came from and why it was there, because nobody was expecting it." Their research was published in the March issue of the peer-reviewed U.S. journal, Geophysical Research Letters. In between rescue efforts, Barber said scientists on the icebreaker were able to conduct research, documenting the characteristics and behaviour of the ice. In past years, ice found in the region at that time of year has been an average of half-a-metre thick, Barber said. The ice surrounding the icebreaker was an average of five metres thick, Barber said. "Most of the other vessels that were there were not designed to deal with this kind of ice. They were designed to go through very thin ice or no ice at all." It may sound counterintuitive, Barber said, but researchers concluded the thick Arctic ice off the coast of Newfoundland is a result of climate change. Melting in the High Arctic allows the remaining ice to move more freely and unblocks passages to the south ordinarily blocked off by the ice itself. "A good way to think of that is just, put a bunch of Styrofoam in your bathtub. If you put, you know, thick pieces of Styrofoam in your bathtub and you filled your bathtub completely full, and then you put a fan and blew it over top of the Styrofoam, it wouldn't really go anywhere," he said. "But if you take some of those Styrofoam pieces out and blow the same fan over it, the Styrofoam pieces will move like crazy, and that's essentially what's happening in the High Arctic." But it's not exactly Styrofoam that's flowing into southern waters. The multi-year ice being unlocked in the Arctic is thicker, colder and stronger than ice most mariners face, Barber said. Its presence could have implications for Coast Guard resources, fishing practices, Arctic navigation and more. He anticipates the problem will persist for the next several years. Even as Arctic ice changes and multi-year ice disappears, researchers predict it will be replaced by rough, single-year ice, which will continue to flow south. "This is a wake-up call, I think, for mariners of all stripes," Barber said. "Whether they're local, you know, little fishing operations, or if they're, you know, regional transport types of things or if they're international, and the way you have to design ships has to take into consideration this fact that ice is much more mobile now and we get surprises with that ice exporting somewhere where it didn't used to occur." "We have to think about how we manage those things and how we protect ourselves against, you know, disasters that can occur at sea because these ice features create problems." Barber said mariners in the region — from the Canadian Coast Guard to people who make a living fishing — need to plan and prepare for the continued presence of more ice in the area. "It's a complicated thing, and the beginning of that is knowledge," he said. "That's why we did the paper we did, and that's why we conducted the research we did, and that's why we made it publicly available through the peer-review process."